JAPAN. Click IMAGE to enlarge or click THIS LINE for your favorite thing about this lobby. 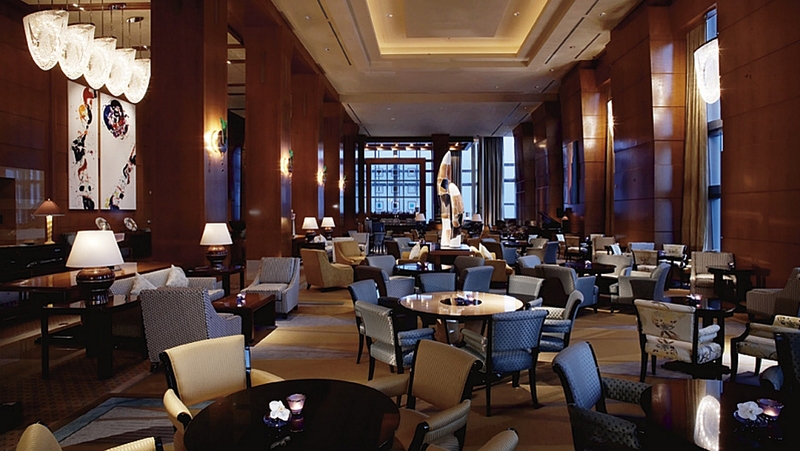 The Ritz-Carlton in Tokyo, Japan occupies the top nine floors and the first three levels of the 53-story Midtown Tower (248m), the tallest building in Tokyo. Here, visitors can absorb the international culture of city’s Roppongi District, Tokyo’s entertainment, diplomatic and business hub, as well as the latest trends in food, fashion and luxury retail establishments coexisting with ancient temples and nearby ruins.